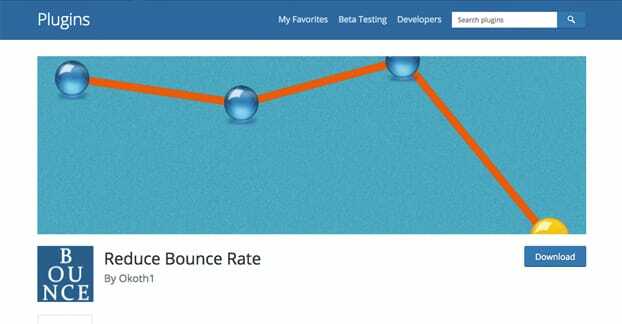 Ideally, all bounces are considered as bad because it means that your site isn’t compelling enough for users to stick around. That’s why utilizing the right WordPress plugins can take your blog to the next level. While it’s incredibly daunting to find the right plugins, we’ve done all the research for you, by whittling down tens of thousands of different plug-ins and compiling the top ten WordPress plug-ins that can help grow your business. When a user doesn’t have a second interaction with your page, “fake” bounces are usually triggered. Meaning, they don’t cause that second data point to measure the time that they spend on the site. But what if you can generate a private interaction to get the second data point, without influencing the overall user experience? Well, that’s exactly what this plug-in does. It reduces bounce rates by measuring which people have ‘bounced’ and which ones didn’t. The best part is, it’s completely free, and it makes your analytics more accurate. If you’re looking forward to responding to leads as quickly as you can, WPForms gives you email notifications instantly for all submitted forms, making you engage with leads as soon as you can. It also allows you to connect with various tools like MailChimp, AWeber, and PayPal. WPForms helps you build online forms by collecting data as effortlessly as possible. When using this plug-in, you don’t need any design or coding skills. Aside from that, your contact form is also available to your site visitors without potentially exposing your email address to spammers. It’s also convenient for you to organize your inbox, and even customize the email subject line of every form. Another helpful feature of the plug-in is that it allows you to customize who receives notifications based on how users answer the form. As a result, it saves you a lot of time when it comes to getting in touch with your readers. Akismet is a plug-in that was developed by the people who created WordPress. Therefore, it’s one of WordPress’ default plug-ins and comes each time you install it. It’s an anti-spam plug-in that checks all the comments made on your site, and effectively filters out comments that are considered as ‘spammy’ or irrelevant. It also allows moderators to see the number of comments that were approved for each user, and see URLs in the text body, and take off suspicious links. The plug-in is free for personal sites and blogs. Commercial websites can subscribe to premium plans which give added security solutions aside from spam protection. Yoast SEO is an SEO plug-in that takes care of most of your blog’s on-page SEO. An analysis tool that helps optimize individual pages. Open graph support that controls how your content will look on social media. Easy setup wizard that set-ups your sitewide SEO settings. It allows you to add meta-descriptions, keywords, and SEO titles to each post and pages of your website. Aside from that, it also helps you in building brand awareness, boosting your site traffic, pay-per-click ads (PPC), and ultimately, lead generation. As your WordPress website grows, publishing new content and installing new plug-ins will cause it to slow down. As a result, most of your visitors will lose patience and will leave your site. Without a doubt, having a slow loading site hurts your conversion rates. WP Super Cache efficiently cuts down your page loading time by 0.85 seconds (GTmetrix) and improves it to up to 28.07%. It’s considered as one of the best WordPress caching plugins due to its speed. The plug-in is a type of Content Delivery Network (CDN) that makes the images, as well as the static site content load quicker. Moreover, it makes your website more secure. Improving your site speed also means that you’re boosting your overall rankings on search engines. Having a fast loading site provides visitors with great user experience, and making sure that they don’t bounce because your site takes forever to load. MaxCDN also gives you protection from DDoS attacks (Distributed Denial of Service) that causes your site to shut down. Google Authenticator helps you lock down your log-in page using the two-factor authentication. If you’re worried that spammers will try to get their hands on you and your users’ account credentials, this is an excellent way to stop it from happening. Pagination plays an integral role in maximizing the overall user experience in your site. Without it, you will have to load all your blog posts at once. As a result, it significantly increases your site’s loading time. The latest WordPress themes already come with a pagination feature. However, if your theme doesn’t have one, you can enable pagination in your site. One of the most popular pagination plugins for WordPress is WP-Paginate. It offers a couple of cool navigation features on your website and even improves your SEO by adding more links to your content. If you want to customize your pagination links, you can find the CSS tab on the plug-in settings. You can customize the pagination labels, as well as the Previous and Next post links. If your site has received a lot of comments, the plug-in also enables you to paginate comment pages as well. Aside from that, you can also select the number of links that you want to display (before and after) the present page. A WordPress registration plugin allows your site to more user-friendly, allowing site visitors to register and create their profiles on your website. It offers a genius way in crafting exquisite registration pages where site visitors can register, and build their own profiles. User Registration is a drag-and-drop plug-in that allows you to create compelling registration pages in no time. It provides you with a clean and user-friendly UI (User Interface), making it easy to set-up and creates feature-rich custom registration forms. User registration forms that are fully responsive. This plug-in is a lead generation tool that keeps all vital customer data in a single location. 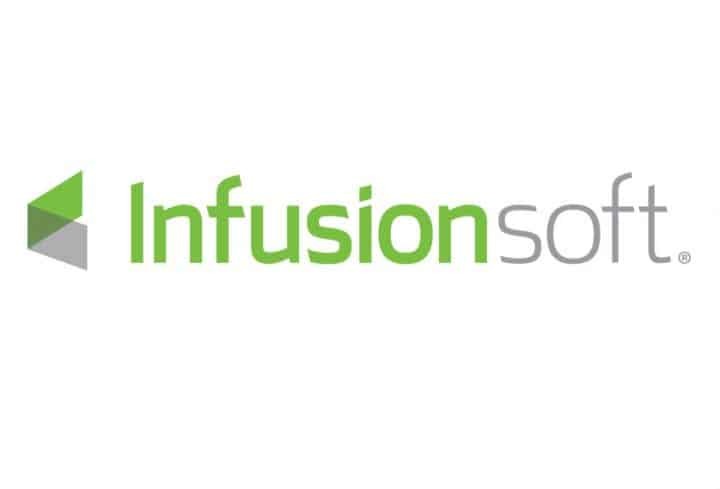 Each time a user finishes an opt-in form on WordPress, they’re directly connected to Infusionsoft, and automated campaigns start to run. Infusionsoft makes you customize your campaigns so that your readers won’t feel as if they’re being marketed to. Over time, it helps establish trust in your company and products, leading to higher sales. Another feature is that it helps you track client behaviors so that you can develop campaigns that resonate well with them. All client information is accessible here, as well. That way, you’ll be able to track more leads and opportunities. So there you have it, that wraps up our list. While there are about 55,000 plug-ins that are available on WordPress, finding the right ones that have the power to reduce your bounce rates and improve your conversions is crucial. Use them in your WordPress site and your business can kick off in high gear this 2019.